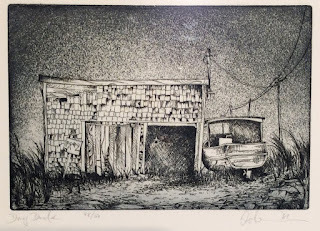 We are excited to announce that Stephen Osler, scenic designer, artist and intaglio print maker will open his new exhibition in the Community Gallery at 7 p.m. on Saturday, July 11th. Everyone is welcome - nay encouraged! - to attend. 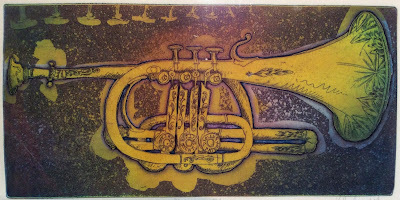 Stephen is an Associate Artist of Art Lab and has a long history of creativity in Parrsboro. 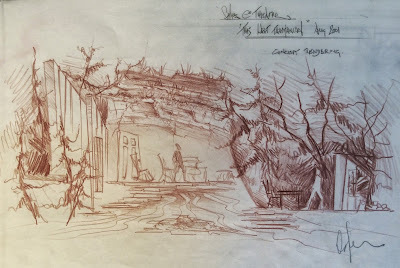 Many people from the theatre community, both in Parrsboro and nationally, will know Stephen for his wonderfully imaginative set design work for stage. He was the resident designer at the Ship’s Company for many years in the mid eighties and into the nineties. 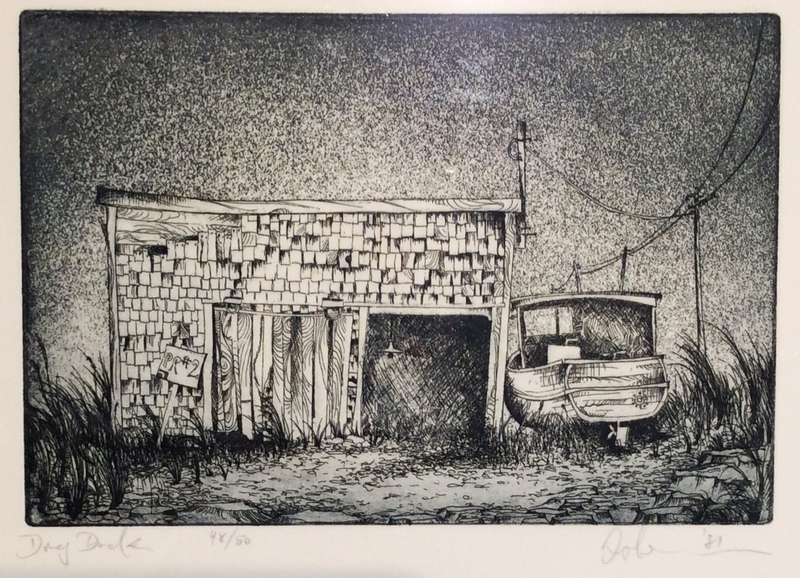 The images within this exhibit include color pencil renderings, intaglio (etching) prints represented in limited editions (otherwise described as "multiple originals"), and many original set design sketches and blueprints. Stephen attended The Ontario College of Art and Design and went on to theatre design, production design and art direction in film and television in the Atlantic Provinces. It was thanks to Mary Vingoe, Michael Fuller and Kerwin Davidson and their combined interest in production value at Ship's Co. that prompted continued interest in stage design for Stephen. 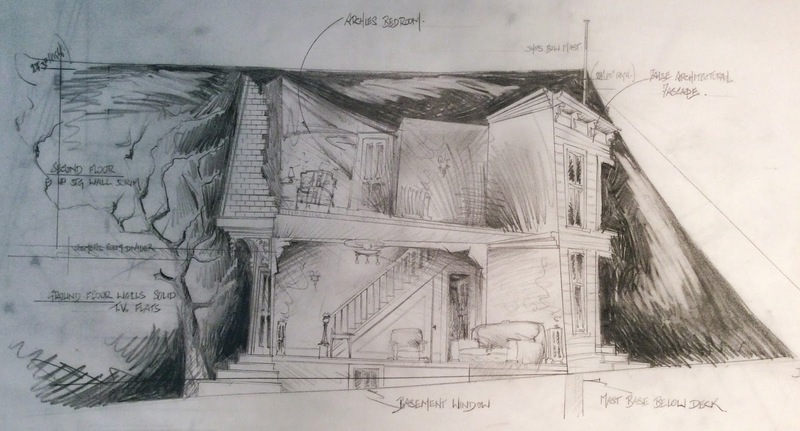 His set designs for Ship's Co. resulted in three main stage shows in one season at Neptune Theatre in Halifax and four seasons designing at The Stratford Festival Theatre in Ontario. Stephen, his wife Gay and their great dog Gibson live in Halifax and he continues to work as art director for CBC's 22 Minutes in its 23rd season. The Stephen Osler Exhibition Opening will take place at 7pm on Saturday July 11. Stephen will be in attendance. Friends, colleagues and lovers of art will not want to miss the opportunity to attend the opening and join us in celebrating Stephen’s work. I have two personalities. Some days I'm Krista Wells, a human, some days I'm Ruca Cao, a street dog in Portugal.